Humideco offer the widest range of units and systems, representing all modern humidification technologies available today. This presents a broad choice for designers and building operators, allowing us to provide the best solution for any given application. Whatever criteria is important in the selection of equipment, we can assist and advise on the suitability of our various products. 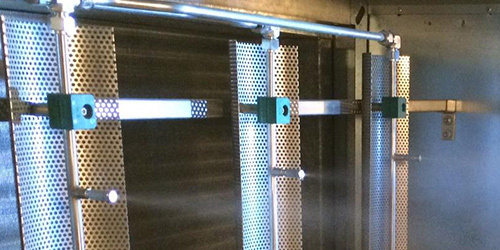 Factors such as long term running costs, capital cost and the degree of control over the level of relative humidity can all influence the decision. We can discuss your needs and propose the range and specification that best meet the requirements. If you would like to know more about our services for commercial clients throughout London and the UK, contact us today and we’ll be happy to help. 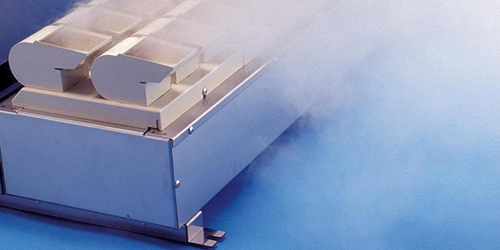 Steam humidifier units use either electricity, gas, or pressurised steam as the energy source to raise atmospheric steam, under control, and a range of dispersion methods to introduce it into the conditioned environment, usually in conjunction with a building’s ventilation system. Our atomising systems use high pressure water, with no compressed air required. Instead, systems feature innovative stainless steel , oil-free pumps and non-drip nozzles. 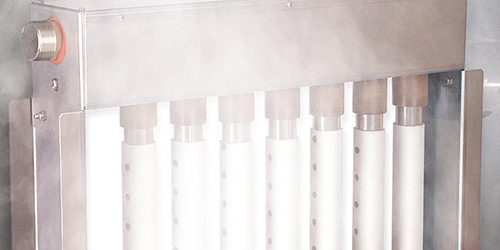 This is an extremely energy efficient humidification process, requiring only around 5-6w of electrical energy per kg/hr. Ultrasonic humidifiers produce a cool, clean, non-wetting mist, that looks like steam and is readily absorbed into the air – like steam, but with a huge difference in power consumption, requiring only 7% of the energy, for an equivalent output – that’s around 0.05kw per kg/hr!